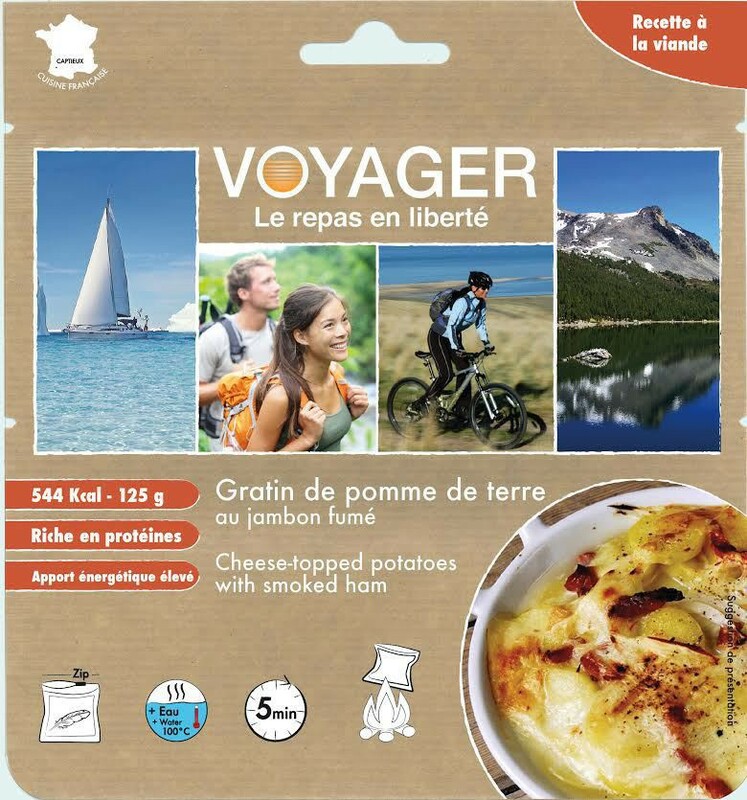 A delicious freeze-dried potatoes and ham meal. Voyager special's recipie is as good as fresh. Highly energetic ~~500kcal, a delicious everywhere ready-cooked meal made to satisfy your hunger and your desire of adventure. Putting water directly into the bag. Mix well, close the bag and stay 3-4 minutes. potatoes 28,74%, mashed potatoes, cheese powder, freeze-dried ham 10%, onions,vegetable fat, milk powder, potato flour, salt, pepper. gluten, milk and derivative product, soja, sulfit.